Developed in 2016, Zcash (ZEC) is a relative newcomer in the cryptosphere but one of the fastest risers out there. Like most cryptos, it is decentralised which is unquestionably in the interest of its users – but the Zcash boom didn’t happen off the back of this attribute alone. What sets ZEC apart from the likes of Bitcoin technology is the optional anonymity and privacy it offers its users. As serial entrepreneur Erik Voorhees puts it, ‘Zcash finally fulfills an early promise of Bitcoin technology – the ability to transact freely and privately with anyone in the world. This protects the right to privacy held by all individuals’. In a society where privacy breaches are on the rise and user data is frequently leveraged against us, Zcash couldn’t have arrived in a more timely fashion. Transactions made with Zcash are published on a public blockchain (known as a ledger), but the sender, receiver and size of each transaction are kept private by the use of a cutting-edge, zero-knowledge proof construction. Zcash is impressive in that it improves on the Bitcoin platform’s deficiencies as well as maintaining the strengths of the original crypto, such as the peer-to-peer nature of transactions. Instead of relying on a third party to facilitate payments between individuals (which a bank normally does), exchanges take place directly between sender and receiver. This means that there’s no waiting around for this middle-man to process the transaction during operational hours. The result is an extremely fast and low-cost payment process. To get started with Zcash yourself, there’s just one thing you need: a virtual wallet. These are free and downloadable, and used to store, send and receive your crypto. The official wallet is available for Linux systems here, but don’t fret if you’re on Windows or another type of system – there’s a full list of community-supported wallets on this page. When your wallet is set up, you’re ready to go and get yourself some Zcash! And there’s some good news – the crypto continues to gain support from exchanges and is widely available online. Reputable and trusted sites to buy at include Kraken, Gemini, Bittrex and Bitfinex. It should be noted that availability and buying methods open to you depend on your country. So onto the fun stuff: if you’ve acquired some Zcash and are looking for sites where you can have a gamble with it, we’ve shortlisted the two best options below for poker and casino games which support Zcash deposits. Also known as ACR, the online cardroom are a giant in the industry for good reason. This Zcash friendly poker site boasts a huge array of games which run 24/7 thanks to its shared player pool with other sites from the Winning Poker Network. Buy-ins start from as low as $0.10 and run as high as $10,000, so whether you want to just get a feel for the felt or battle in the biggest games, ACR have you covered. There’s a ton of tournaments running daily, including multiple freerolls where you can literally win money for nothing. 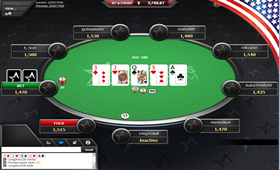 Throw in sit & go’s, Omaha games and even classic Stud variants, and it is no overstatement to say that Americas Cardroom offers one of the best online poker experiences around. They’ve even added jackpot sit & go’s to the mix – identical to Spin & Go’s on PokerStars – where three players compete to win absurdly big prizes relative to the buy-in. A $40 buy-in can yield a six-figure, $100,000 payout for the winner. Another perk of ACR is their generous deals given to first-time depositors – and crypto depositors in particular! While a 100% deposit bonus is the norm for most poker sites, Americas Cardroom give new depositors a 200% bonus on amounts up to $1,000. There is also a weekly freeroll for first-time players (you’ll get an email with the password for the New Depositors Freeroll as you make yours). With deposit options available for 60+ cryptos, you’re able to play here even if you’re sitting on a portfolio of lesser-known coins! You can download the client from their official site and register for an account straight from there. The registration process takes no longer than a minute, and you can get in touch with 24/7 support via email at support@americascardroom.eu or by phone at 1-877-314-4195. Good luck at the tables! When it comes to crypto casinos, there is none more impressive than FortuneJack. Offering more games than any of its competitors, a provably fair gambling environment and supportive of bankrolls of all different shapes and sizes, it is no wonder why it is hailed as the biggest gambling site around. Dice? They’ve got it. Video slots? Yep. Blackjack, roulette, scratch and even a virtual racebook? You bet! Their 3D games are powered by BetSoft and Micogaming, who are both known for delivering the most fun and innovative ways to have a spin. As the name suggests, FortuneJack are in the business of offering huge jackpots to their players. One of their video slots – Mega Moolah – is paying out a 100 BTC+ jackpot at the time of writing this. King Cashalot and Treasure Nile are other good options if you like staking a little to win a LOT. 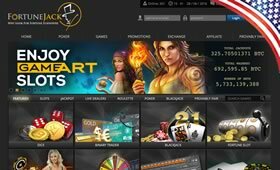 If you want to enjoy that real casino experience from the comfort of wherever you are, the site also has an extensive selection of live table games. These include roulette, blackjack, baccarat, and dragon tiger. See the cards fly and hear the sounds of the roulette wheel spinning in a full-screen mode which is truly immersive. You can even look for your preferred dealer and try to battle them at your favourite game. With a whopping 110% welcome bonus for first-time depositors on amounts up to 1.5 BTC – with 250 free spins thrown in for good measure – FortuneJack do it right. The generosity doesn’t stop once you’ve entered though, since there’s a rewarding loyalty scheme that provides cashback on your play and even bespoke gifts for the VIPs. Sign up in 30 seconds at FortuneJack Zcash Casino with just an e-mail address and username – respecting your privacy with no unnecessary personal info in the same way that Zcash does! If you do experience any problems, support are available 24/7 at support@fortunejack.com.